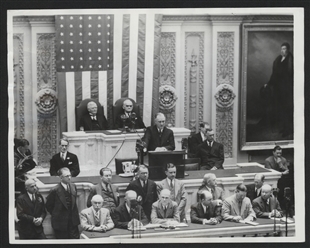 At a Joint Session of Congress on May 22, 1935, President Franklin Roosevelt defended his decision to veto a measure providing early payment of bonuses promised to World War I veterans. The certificates were originally to be paid in 1945, but as the Great Depression worsened, many impoverished veterans demanded early payment. 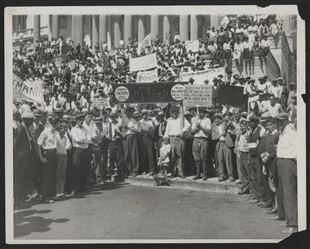 Congress successfully authorized the bonus payments in 1936.